We all know Lehigh Valley is steeped in history, what with the Moravians in Bethlehem and Nazareth (in no particular order) the Liberty Bell being stored in Allentown, and the first reading of the Declaration of Independence in Easton but there is a lot more history all throughout the valley. Lucky for us dedicated volunteers spend countless hours to preserve the stories and buildings for future generations. Case in point: The George Wolf Historical Society in Bath. I was aware they existed but hadn’t actually gone to any of their events until recently. As is often the case it was our friend, Al Rauber, who moved to the valley that suggested we attend a talk he was giving there on his investigations of the Lizzie Borden home. The talk was given in the Wolf Academy building built in 1785 and lovingly restored to its original state, complete with real candle chandelier and wall sconces. The school, one of the first to offer a free education to boys and girls was originally the “Allen Township Academy” when George Wolf, Pennsylvania’s seventh governor, attended and later taught there. To visit it now it is hard to believe it was most recently used as a barn! I was able to tour more of their buildings when they hosted an antique and craft show in December, the same weekend they had a house tour. The Monocacy Schoolhouse, the “newer” school displays rooms of museum pieces many of which were found on the property. My favorite building so far is the Raiston-McKeen House (circa 1795).The society purchased the abandoned home in 1981 and has been working to restore it. The best part of this work in progress is the fact that most of the original trim work and six fireplace mantles are still there along with remnants of peeling wallpaper and hints of its use through the years. When I was there Carol Bear-Heckman, the owner of The 1804 Steckel House Bed & Breakfast in Bath was dressed in period garb and actually cooking in a fireplace. The pot of chicken soup in a cauldron seemed easy enough but baking cornbread in a pan covered in hot coals is something I “wouldn’t try at home”. She also demonstrated the method in which the chicken was roasted. The skinned bird was tied to a string of linen thread (which apparently doesn’t catch on fire as easily) and hung it by the fire. Winding the string up like a top resulted in the primitive but effective rotisserie spinning of the chicken for even cooking. The soup and cornbread were delicious! I now know where to go for a hot meal next time our power goes out! 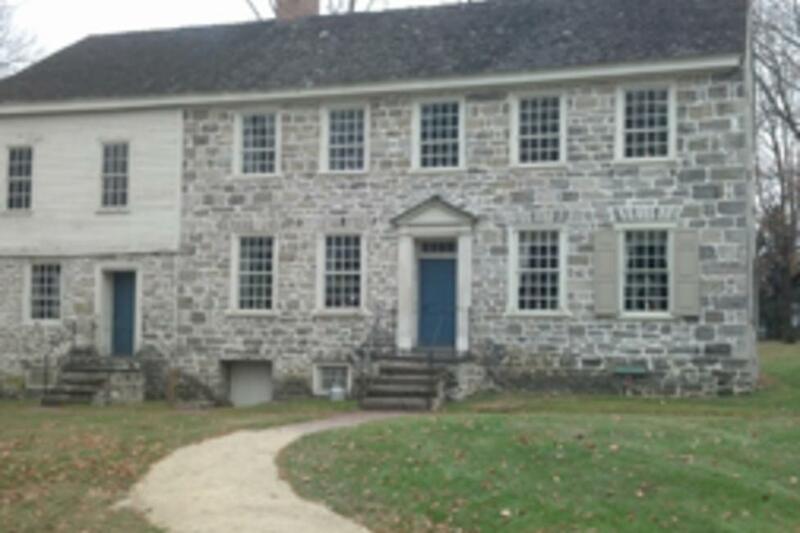 Lehigh Valley is home to many local historical societies which depend on our support. Even if you don’t have time to volunteer, please take advantage of their events and donate to the cause as much as you can. Your ancestors will be glad you did. Do you have a local historical society?